This month’s RHoJ home is the perfect example of year round vibes. One cup of coffee with Katrina Aronson will leave you feeling inspired. Katrina is effortlessly chic, whether it be her on point “choppy lob” haircut or her perfectly curated assemblage of home decor, In short, Katrina is all things trendy. 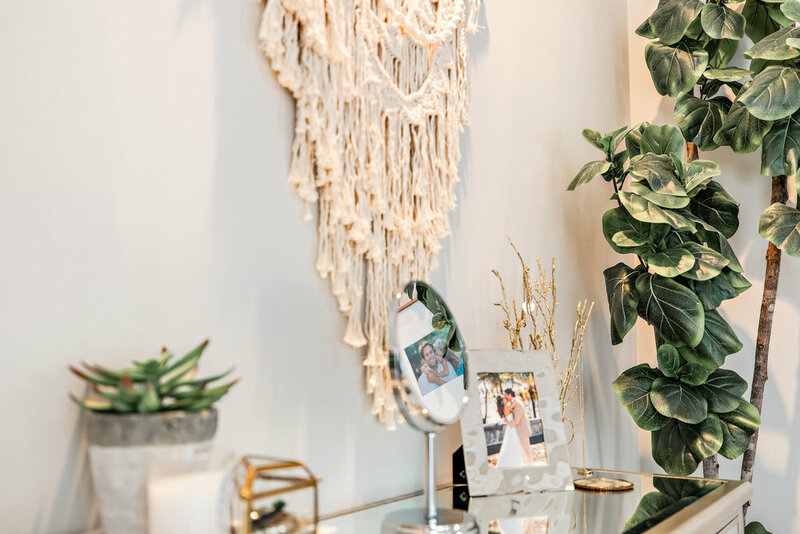 MLRE had the opportunity to sit down with Katrina and discuss everything from her family and career in fashion, to her inspiration for her Abacoa area home. 3. What's your favorite piece and where did you get it? 4. Which Instagram accounts are you currently loving? “I think of each room as an outfit. I find one piece, and build all around it. I take my time, and sometimes that means a lot longer than I would like. But, when I am inspired, it is all systems go. Sometimes it is photo I see or a house I visit, but usually it is just an idea that pops into my head and I work backwards to find the visuals I need. I do have a deep love affair with Spanish influences, whether it is tiles or archways, so I try to sneak those in where I can. Minimalism is my personal love language. If I am not completely sure of something, I do nothing at all. Fashion is really not that different from home decor. You like what you like, and it is all about exuding who you are. I have always been drawn to a bit more of a masculine overtone with feminine touches, whether it is clothes or my living room. 3. What's your favorite piece in your home and where did you get it? A big thank you to The Aronsons for allowing us to showcase their gorgeous home!